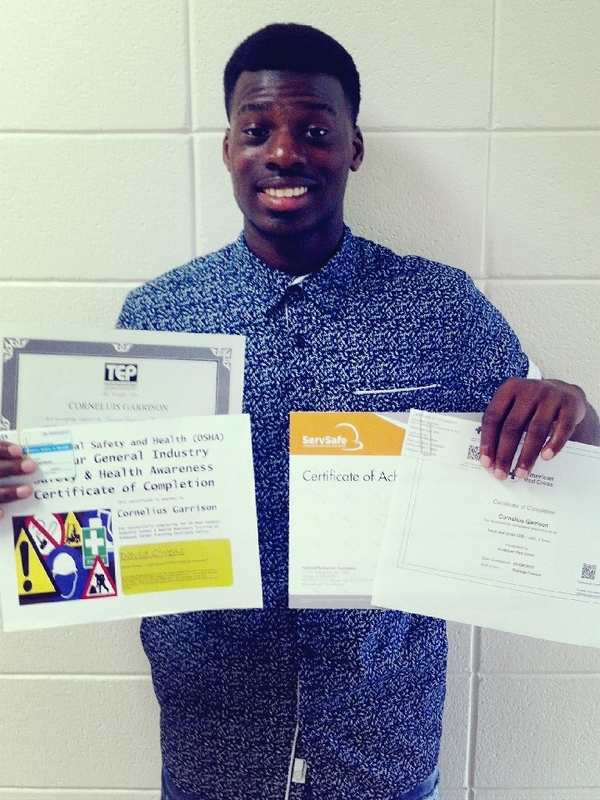 Cornelius Garrison, a senior at SCHS, attended the Transition Employment Program (TEP) this past summer for 5 weeks in Hot Springs, Arkansas. The TEP program introduces high school seniors to the world of work while assisting them with job readiness skills, interests, career goals, & discovering their employability strengths. While attending this program, he successfully completed & received certificates in ServSafe Food Handler Training, Adult and Child CPR through American Red Cross, & Occupational Safety and Health Awareness (OSHA). Way to go Cornelius!